There was a time when New York City was entirely in black-and-white. At least that is the impression we get from classic photos, many of which were taken by artists and journalists associated with the Photo League. Members like Ruth “American Girl in Italy” Orkin and Ansel “Yosemite National Park” Adams were brought together in part by politics, but politics would also be the group’s downfall. 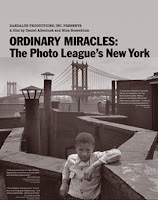 Their early to mid Twentieth Century climb to prominence and subsequent dissolution are documented in Daniel Allentuck & Nina Rosenblum’s Ordinary Miracles: The Photo League’s New York (trailer here), which opens this Friday in New York. The Photo League was a direct offshoot of the Film and Photo League, a syndication service providing images to radical leftist press outlets, including the Daily Worker. Co-founders Sol Libsohn and Sid Grossman shared a grand vision combining Popular Front ideology with naturalistic documentary photo aesthetics. A school, gallery, and support system for photographers of all skill levels, the League ironically acted something like a private WPA for its New Yorker members. 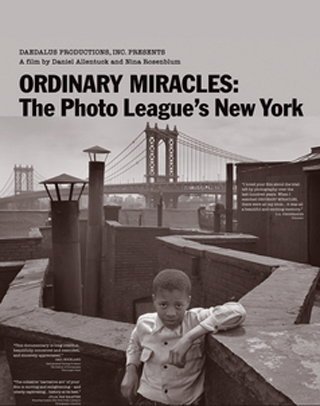 Indeed, one of the League’s most celebrated endeavors was the Harlem Document, a five photographer project capturing the vitality and iniquities of the famous upper Manhattan neighborhood. The League also played an active role preserving and publicizing the work of nearly forgotten elder statesmen, such as Lewis Hine, now best remembered for his photos of the Empire State Building construction workers toiling high above the City. In 1951, the party ended rather precipitously. An apostolic descendant of explicitly Marxist organizations, the League was suddenly on the wrong side of the national zeitgeist. Naturally, plenty of scorn is heaped upon a certain alcoholic two-term senator from Wisconsin in the film. Yet, none of the surviving League members are reflective enough to question why the League never explicitly followed the lead of intellectuals like Arthur Koestler and Stephen Spender, who formally repudiated Communism after the Stalinist Show Trials and the Molotov-Ribbentrop non-aggression treaty came to light. Not only would it have been a more principle position, it would have saved the League great heartache during the post-war years. Frankly, nobody should look to a photography documentary for lessons in geo-political history or economics. 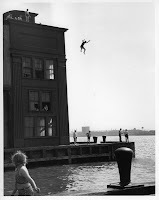 What Miracles has in gracious supply are wonderfully evocative photos of New York in the 1930’s and 1940’s. Arguably, the most striking visuals are the crime photos taken by newspaperman Athur Feelig, a.k.a. 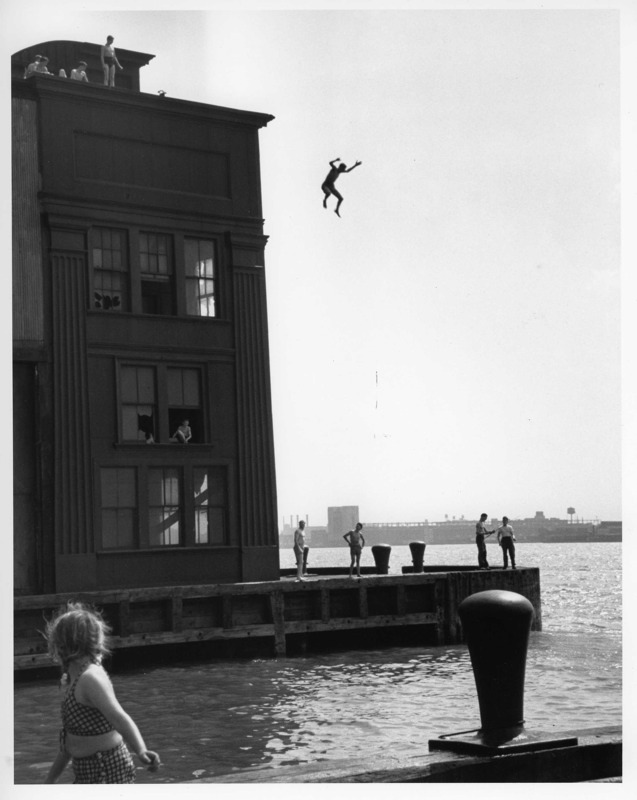 Weegee, perhaps because of his own hardboiled archival commentary. Not surprisingly, such images are the heart and soul of the film. Ordinary Miracles also sounds great, featuring licensed musical selections from Coleman Hawkins, Fats Waller, and Django Reinhardt with Stéphane Grappelli (actually the latter two do not exactly scream 1940’s New York, but they are always cool, nonetheless). However, the remember-when segments with League veterans do not add much insight. Glossing over a lot of ideologically messy developments, Ordinary Miracles is recommended for narrowly focused Weegee-like photo enthusiasts, when it opens this Friday (6/22) in New York at the Quad Cinema. Kumare: That was No Guru . . .